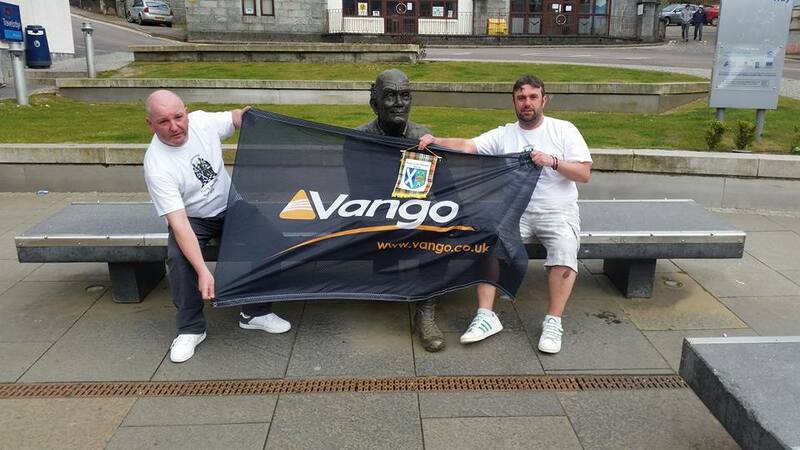 At Vango an adventure can arise at any point. 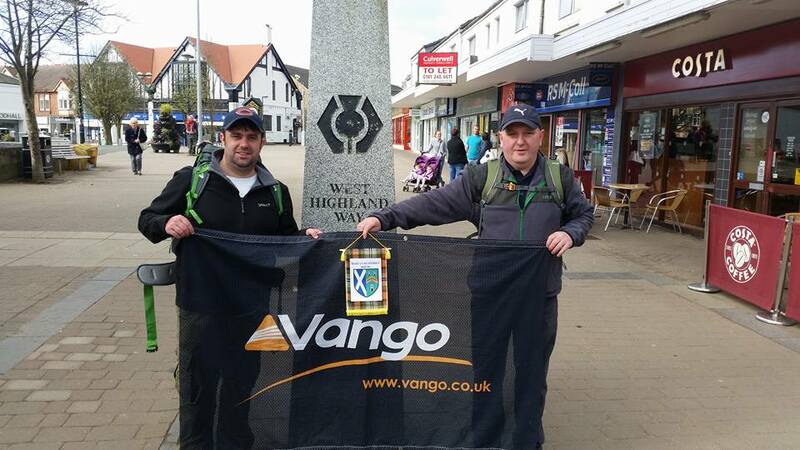 Two of our colleagues, John and Eddie, took on the challenge of walking the West Highland Way to raise money for a local charity. The 154Km (96miles) Route starts at Milngavie, passes through Mugdock Country Park, follows the shores of Loch Lomond, passing Ben Lomond, through Glen Falloch and Strathfillan, crossing Rannoch Moor, past Buachaille Etive Mor to the head of Glencoe, climbing the Devil’s Staircase, descending into Kinlochleven before entering Lairigmor and Glen Nevis and finishing at Gordon Square in Fort William. Find out how the guys got on with their adventure below. What was your favourite section? The flat bits! But there are a few favourites; the forest route from Crianlarich through to Tyndrum where you're surrounded by enormous Pine & Spruce trees which give way to grassy slopes and heather; the route from Inveroran through parts of Rannoch Moor where we found herds of wild deer coming off the mountain onto the opening of Glencoe and Kingshouse and beyond that, the climb up the 'Devil's Staircase', the highest point on the way, although the meandering descent into Kinlochleven is tougher on the legs than it sounds! However, if I have to pick one it'd be the final stretch from Kinlochleven to Fort William. 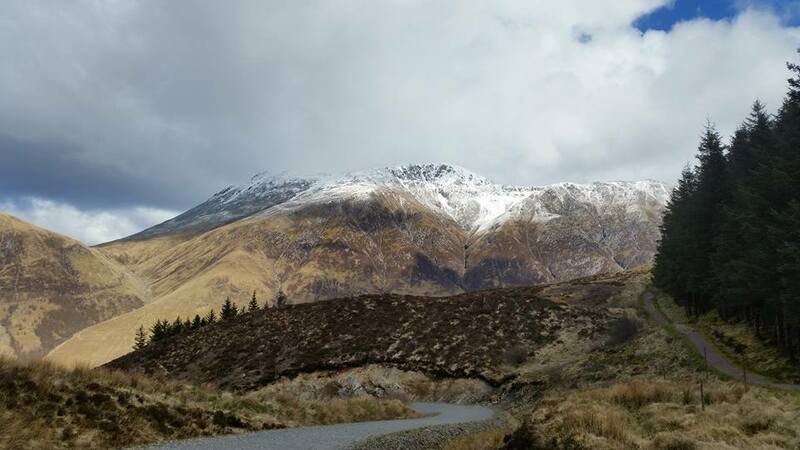 A steep climb out of Kinlochleven leads into Lairigmor ('The Great Pass') boasting 11 Munros before coming through forestry plantations to having stunning views of Ben Nevis, descending through Glen Nevis to finally reach tarmac pavements into Fort William for some well-earned refreshments. What was the most challenging section for you? without a doubt that would be day 2, when we walked from Balloch along the shore line of Loch Lomond to Inverarnan (approx. 22miles). 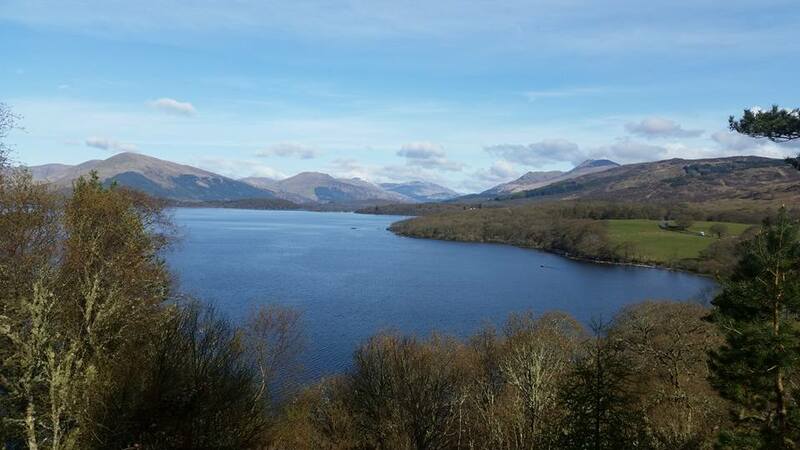 The early sections of the trail began easily enough with some stunning views up Loch Lomond and a flat section of terrain up to and continuing through Millorchy Bay. However, upon passing the bottom of Ben Lomond heading along the loch side towards Inverarnan the trail becomes torturous and rises and falls along rocky paths with crags and boulders. We found ourselves looking more at the path ahead to ensure our safe footing than taking in the scenery around us. What drives you to walk the distances? We enjoy walking and in particular Eddie walks good distances every other week. We also tried to split each days walk into a few sections. There's two reasons for this, firstly it provides you with targets to reach along the way; a day’s walk of 16 miles can be broken into 3 or 4 sections giving you smaller achievable targets to reach the overall goal of the day. And secondly, it allows you to stop and actually take in the beautiful scenery around you whilst allowing you to rest weary legs and grab a bite to eat. It was something we've wanted to do for a few years so when we finally got round to doing, plus getting a charity involved (and to prove a few people wrong) there was no stopping us. Don't get me wrong, there were many times I could have stopped, gave up, gone home, but the further you progress and the more distance you cover you start to realise just how far you've come. Furthermore, being sponsored to do it means there are people counting on you to complete the journey and this drove us on also. What food/snacks did you eat during the walk? plenty of energy bars and certainly a few sugary treats along the way help give you a little boost during the walk then once the tent's pitched, we pulled out the Trangia to tuck into some Wayfayrer meals before having a well-earned 'dram'. What shoes/kit did you wear? Strong walking boots, I prefer boots over shoes to ensure I've good ankle support but it's extremely important to walk in your boots a lot before starting the walk as you do not want to have sore feet or blisters walking on some of these old military and drovers roads. We used the Vango Omega 350 (tent pic), Venom sleeping bags, Khumbu and Boulder rucksacks, Trek and Aero mats with Trangia cook-kit and Gel Fuel. What advice would you give to anyone wanting to complete the trail? Preparation is key. Plan your journey well, and don’t bite off more than you can chew in terms of what distances you plan to walk each day.